The environment ministry in the Düsseldorf region said it was exploring other strategies to improve air quality and avoid diesel bans. Volkswagen, BMW (BMWYY) and Daimler have been bracing for new restrictions on diesels amid rising public concern over air pollution and its negative health effects. Anger has been fueled by revelations that Volkswagen had been cheating on diesel emissions tests, allowing its vehicles to emit excessive levels of nitrogen oxide. Bans are likely to hurt demand for diesel vehicles in Germany, and deliver a blow to the country's massive auto manufacturing industry. 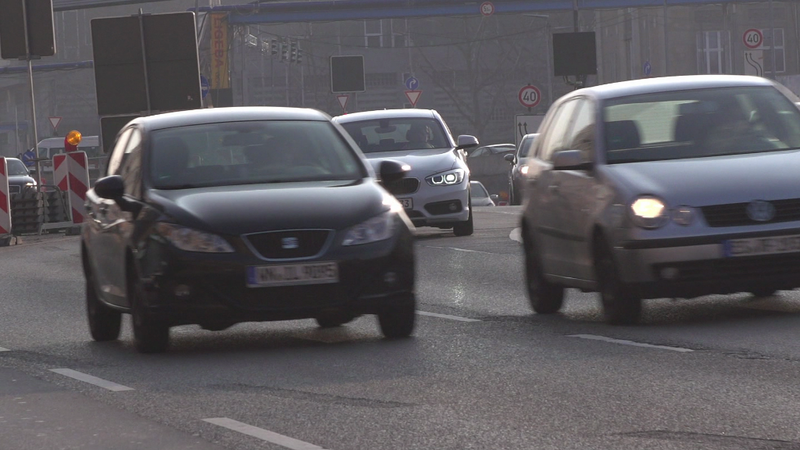 About a third of cars in Germany run on diesel. Shares in Volkswagen (VLKAF), Daimler (DMLRY) and BMW dropped after the court decision, but later recovered. VDA, the German automotive association, said there were other "intelligent measures" that could be used to meet air quality standards without resorting to bans. The European Commission -- the top regulator in the European Union -- has threatened legal action against Germany and other countries over high levels of air pollution. Germany is home to 26 cities that frequently exceed EU air pollution limits, more than any other country in the region. -- CNN's Nadine Schmidt contributed to this report.